The National Center for Manufacturing Sciences (NCMS) plans to establish a new manufacturing innovation center in Harford County, Maryland. Focusing on developing next-generation industrial additive manufacturing, materials, and processes, this facility will house leading engineers and the world’s most powerful production technology. Collaboration at the center will lead to scientific breakthroughs in metallurgy and plastics, as well as the launch of new factory machinery that will transform the way U.S. producers make aircraft, automobiles, munitions, medical devices, and other products. Led by U.S. Senators Chris Van Hollen, D-MD and Lindsay Graham, R-SC, the new center has received bipartisan support from across the country, indicating the tremendous interest in capturing the impact and capabilities of this critical technology to maintain and strengthen U.S. manufacturing competitiveness. Partners of the new center include the State of Maryland, the Maryland Department of Commerce, and Harford County, Maryland, as well as founding members 3D Systems and Applied Materials. “3D Systems is proud to have helped NCMS lead this initiative,” said Neal Orringer, vice president, alliances & partnerships, 3D Systems. NCMS’ long-standing, proven and sustainable success is possible because of its effective collaboration with world-class organizations that deliver solutions to enhance our nation’s manufacturing capability. 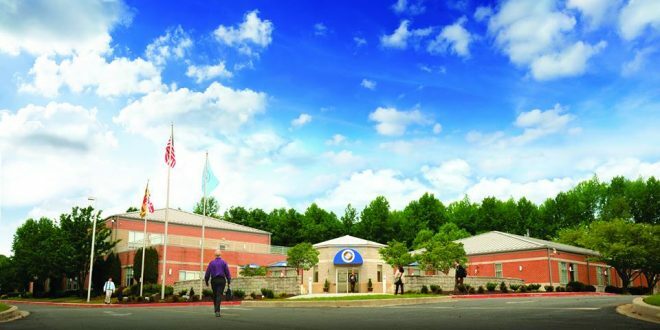 Building on its extensive relationships with the U.S. Army, NCMS expands this connectivity to the Army Research Laboratory, the Army’s corporate laboratory. Through its material science research effort, ARL executes fundamental research for scientific discovery and innovative problem-solving to provide superior materials and devices needed to achieve lasting strategic land power dominance. The State of Maryland, like NCMS, is committed to enhancing the global competitiveness of North American manufacturing. By creating a center focused on continued innovation in advanced materials, this region of Maryland will become a hub of collaboration among researchers, the defense community and industry for the future of materials and manufacturing. Harford County is providing leased lab, training and administrative space for the facility at the Higher Education and Applied Technology Center or HEAT Center. “We are excited to work with NCMS and look forward to being active partners in this unprecedented consortium for new manufacturing technology,” said Harford County Executive Barry Glassman.